Professional Training for Couples Counseling: Gottman Method Level 1, Level 2, and Level 3 Workshops and Retreats. Additional Date: November 1st-3rd, 2019 - New 2020 Dates Coming Soon! These Gottman Professional Training Workshops provide you with research-based instruction and resources that you can use immediately with your clients in couples counseling. There are 3 levels in the Gottman professional training program. You may train in one, two, or all three levels. Each level provides you with a progressively deeper level of instruction and understanding. 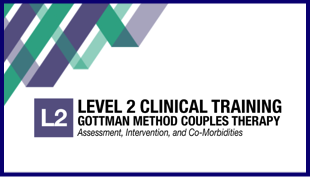 Completion of all 3 levels of this program concludes with the fourth and final level - the Certification Track, leading to your designation as a Certified Gottman Therapist. 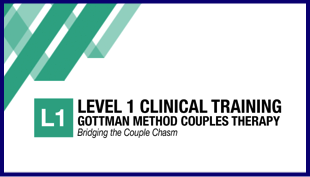 In San Anselmo, CA - just 15 minutes north of San Francisco and the Golden Gate Bridge, we are currently offering all three trainings: the "Level 1: Bridging the Couple Chasm", the "Level 2: Assessment, Intervention and Co-Morbidities", and the "Level 3: Practicum Workshop in Gottman Couples Therapy". 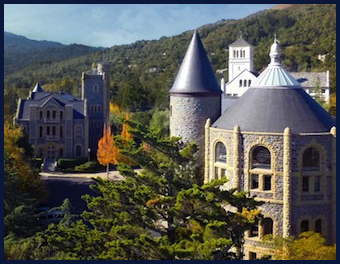 These workshops for couples counseling are presented in a retreat setting at the SF Theological Seminary, voted one of the 10 most unique event venues in Marin County. Registration is limited. Please register early to insure availability for your selected date as the trainings do sell out. 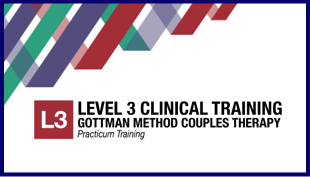 *** Combined Registration Discounts - Available for registering for both a Level 1 and 2 training, a Level 2 and 3 training, or registering for all three Gottman professional trainings. See "Combined Registration" page for more information or call Lisa at (415) 721-4310. *** Group Registration Discounts - Available for groups of 2 or more clinicians. Discount includes Combined Registrations! See registration page or call Lisa at (415) 721-4310 for details. Registration limited - Sign-up now to assure your place! main interventions with a real couple. Workshop hours: 9am to 5pm. Level 1 Training - Click Here! Go to Level 1 Registration Information Page - Click Here! Gottman Method to Couples Therapy. Workshop hours: 8:30am to 5pm. Go to Level 2 Registration Information Page - Click Here! Horsemen” and understand the antidotes. Go to Level 3 Registration Information Page - Click Here!